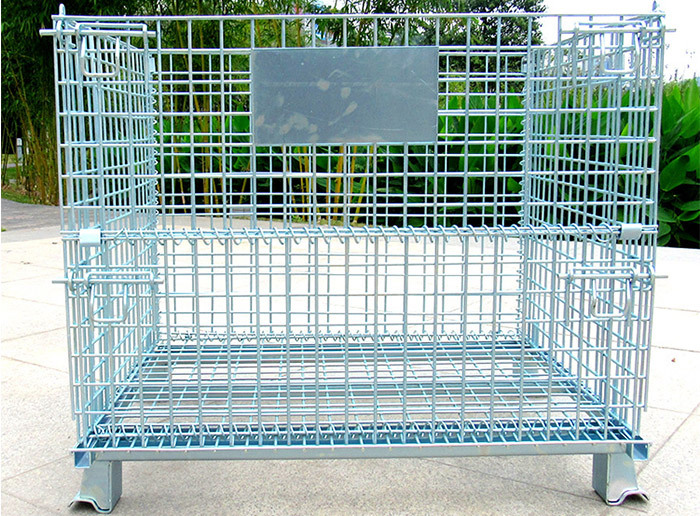 The wire mesh container can be used in warehouse and supermarket. 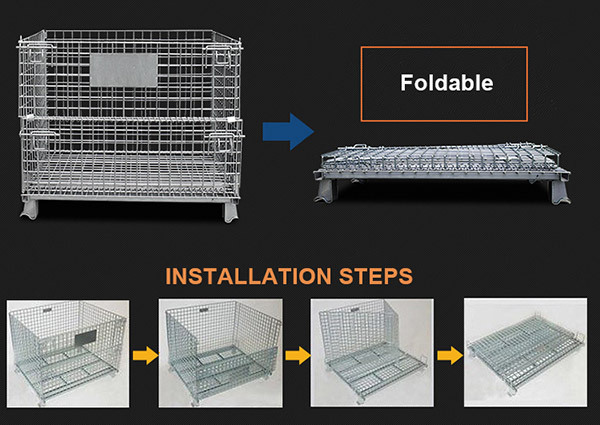 It is specially designed to be foldable so that it will not take up much space if it is not in used. 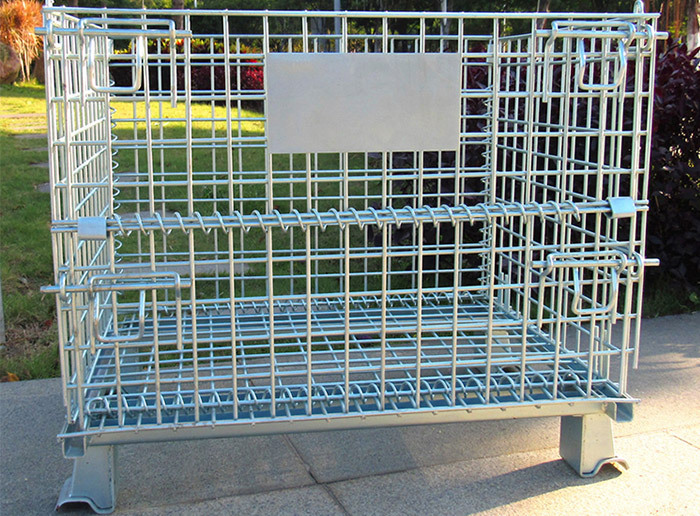 The wire mesh container is strong and capable of withholding much load, making it suitable for bulk storage purpose. Able to be conveyed by pallet vehicles, forklift, elevator and crane, four layers may be stacked. Easy operation, wide use and long service life. Welded by strong steel bar, "U" shaped channel steel is used at the bottom to increase the solidity. Able to be used in the logistics circles, such as transportation, assembly and disassembly and storage, by integrating transportation equipment. Cardboard can be equipped in the basket to protect the surface of materials and ensure the completeness of materials during storage and transportation, so that the cost is reduced and the efficiency is increased.